The 320-mile New River begins high in the mountains of northwestern North Carolina, deep in the heart of the Southern Appalachians. The New, as it is affectionately called, actually begins as two rivers, the North Fork in Ashe County and South Fork in Watauga County. 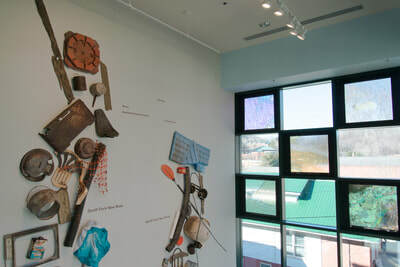 The two forks join in Alleghany County and flow north from North Carolina’s Blue Ridge into Virginia and West Virginia. 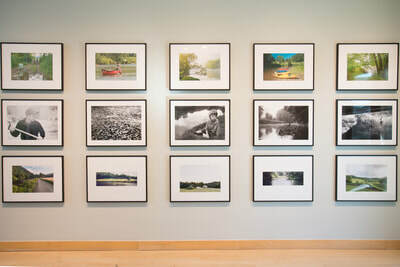 One of the oldest rivers in the world and certainly the oldest in the United States, the headwaters of the New wind more than 100 miles through the Appalachians; the forks join just a few miles south of the North Carolina-Virginia line. 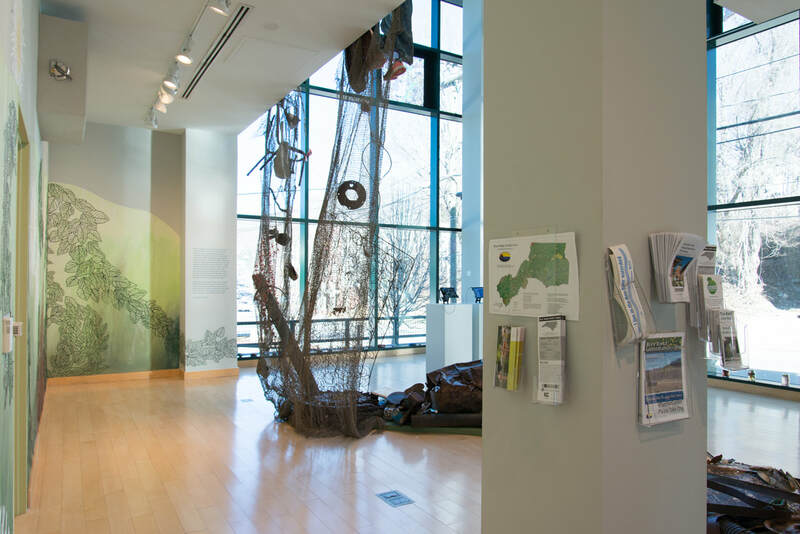 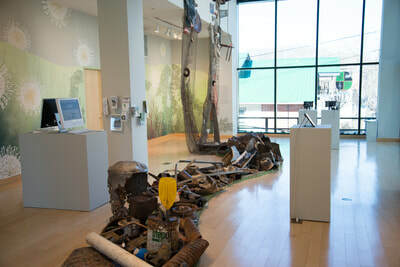 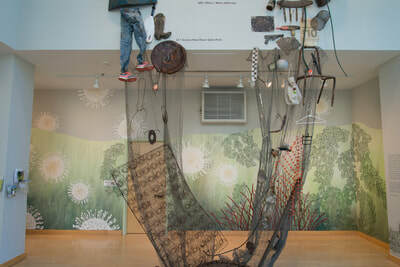 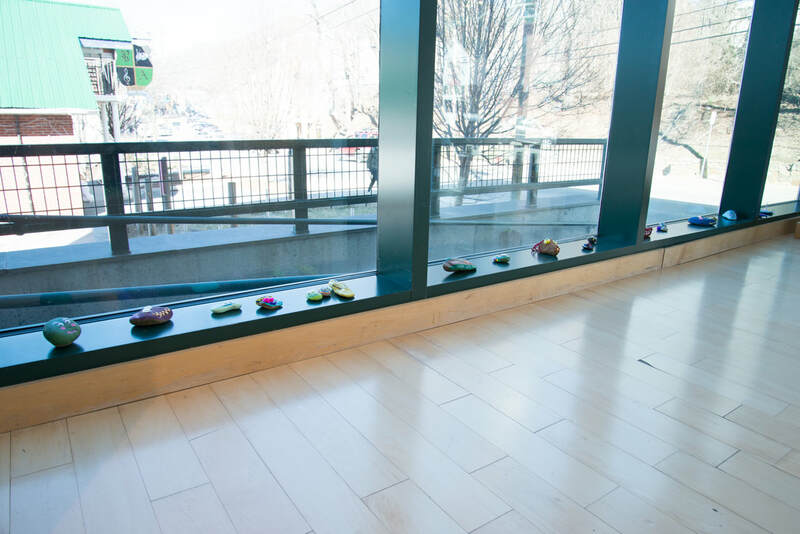 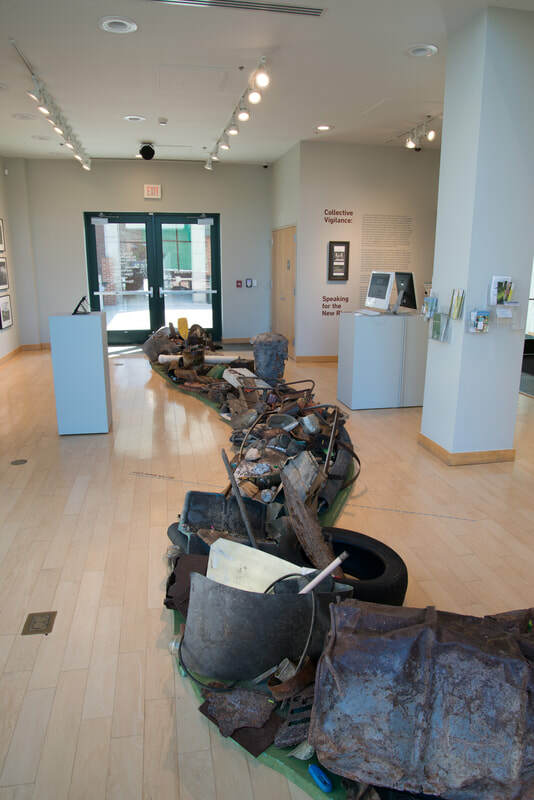 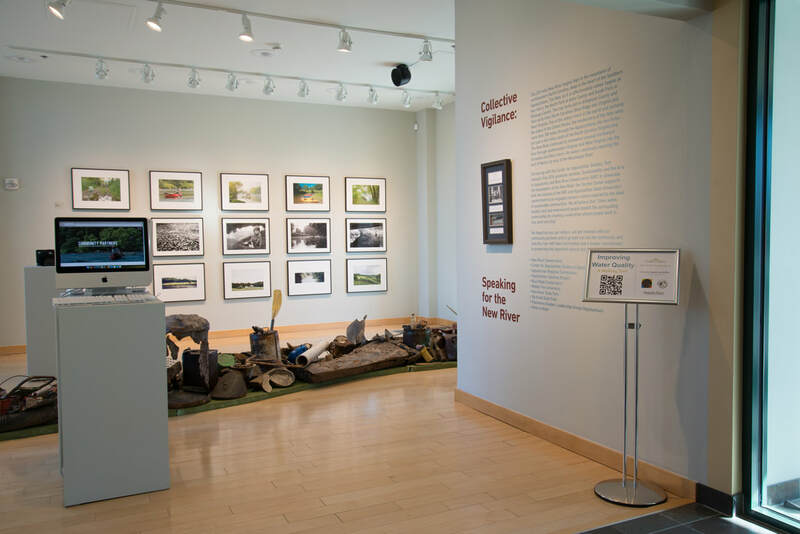 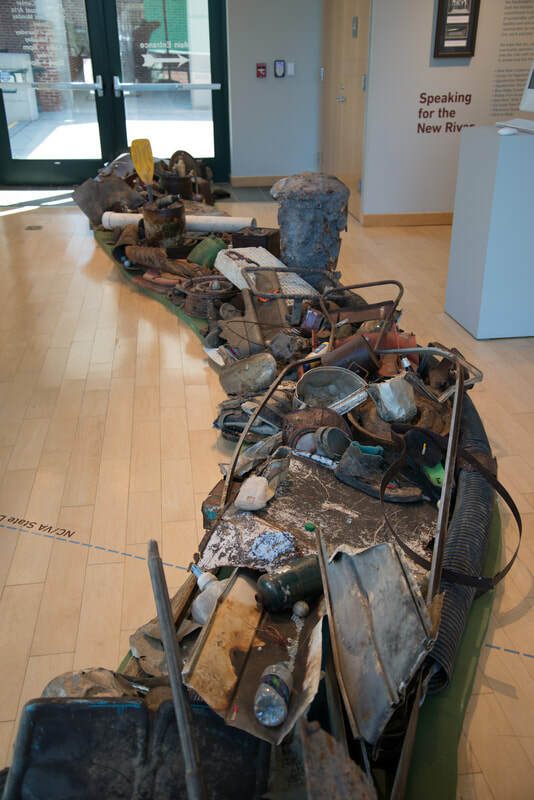 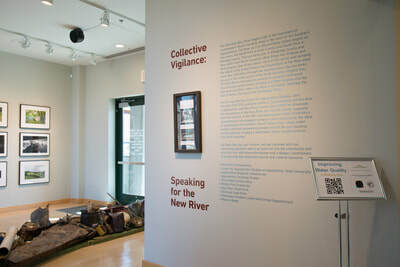 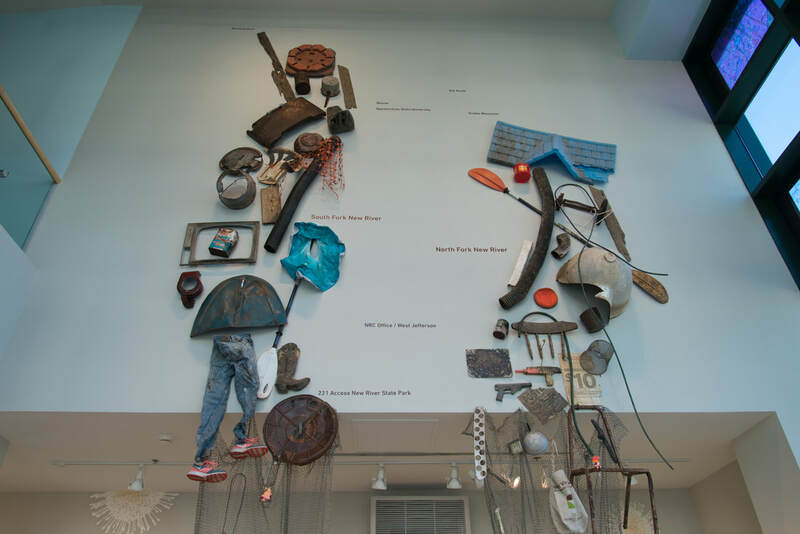 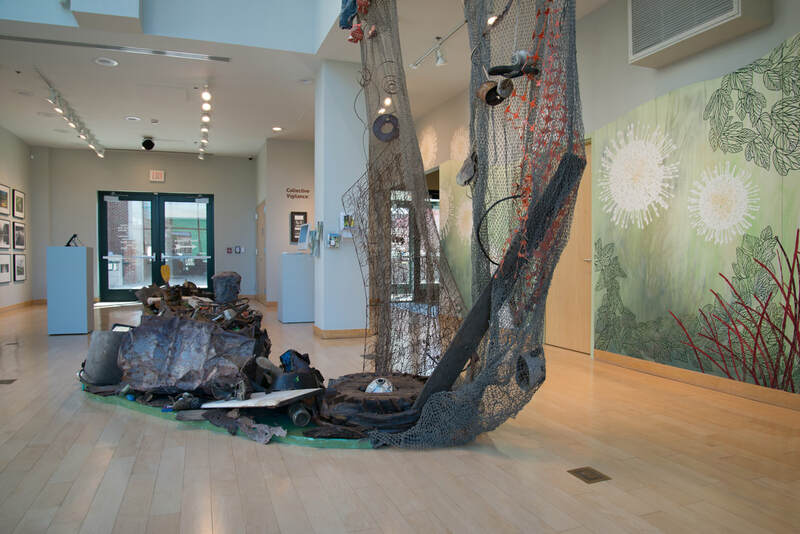 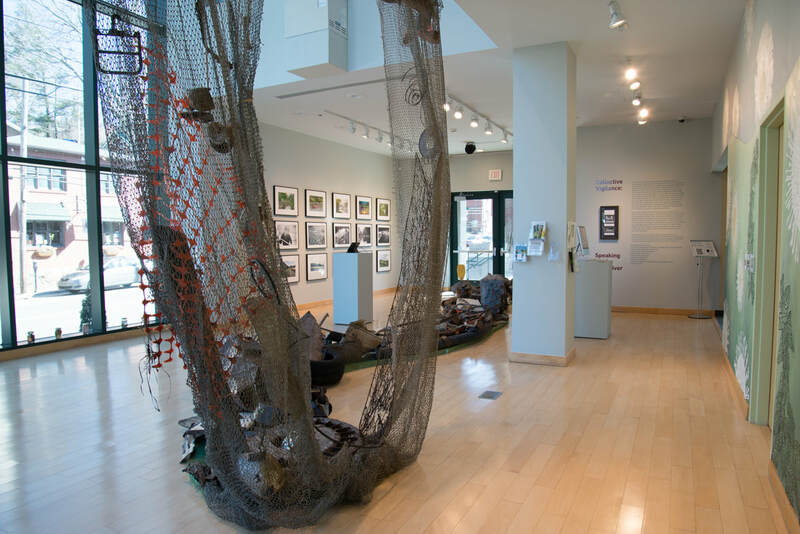 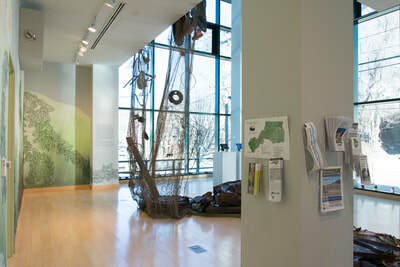 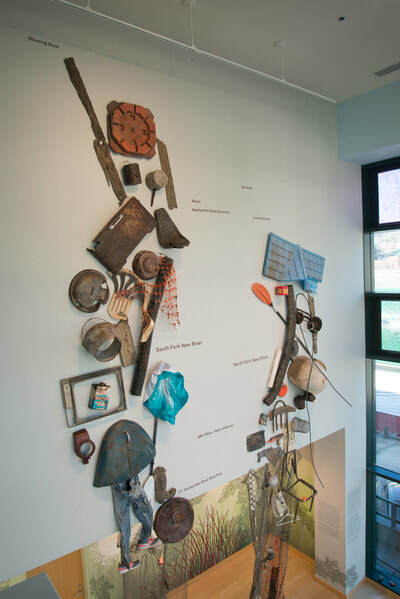 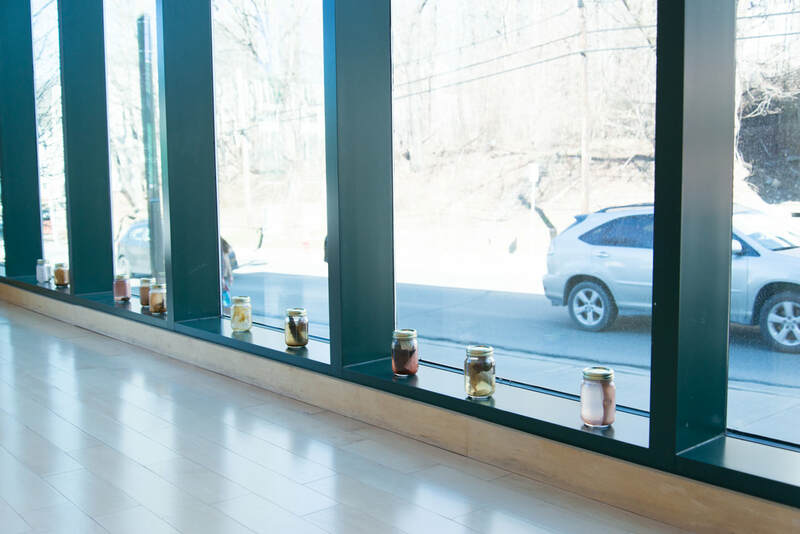 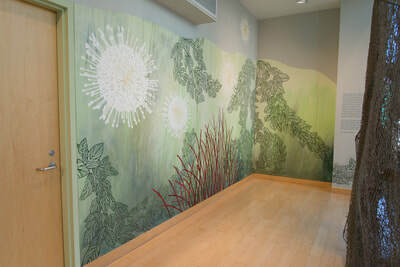 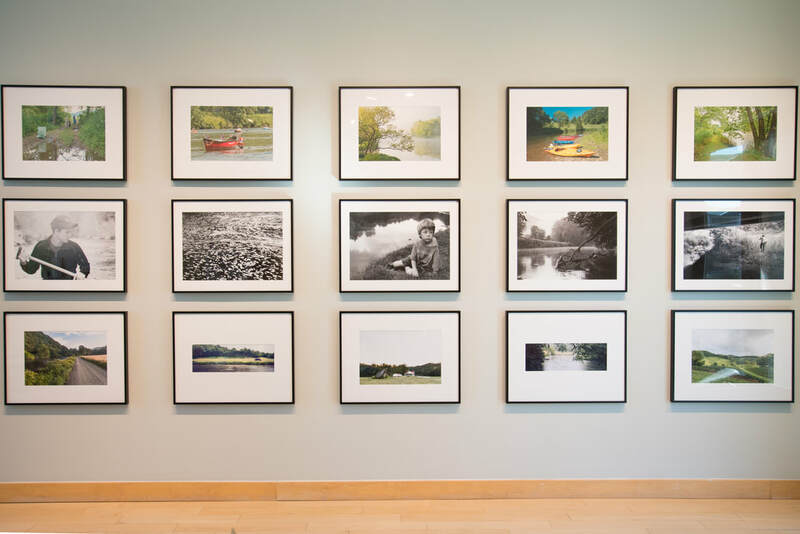 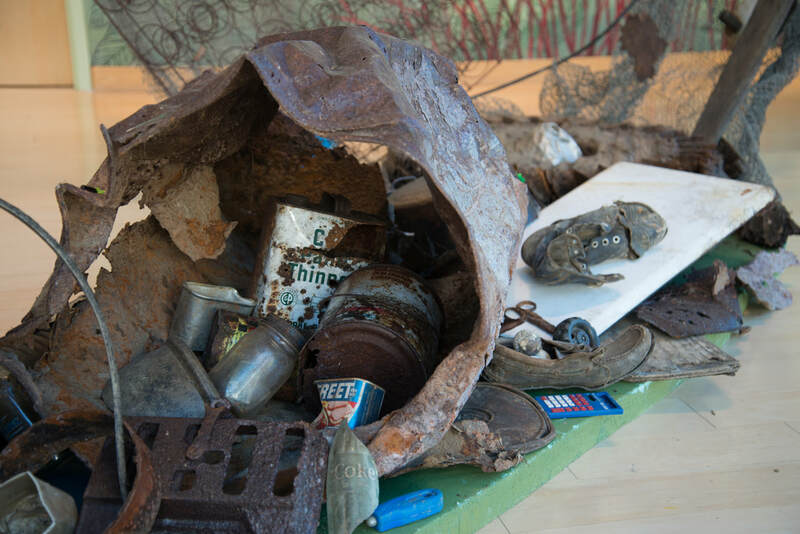 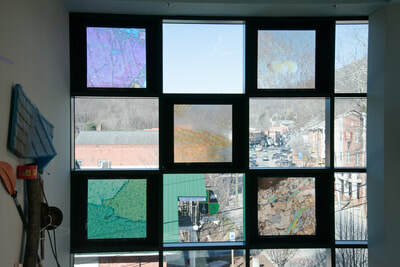 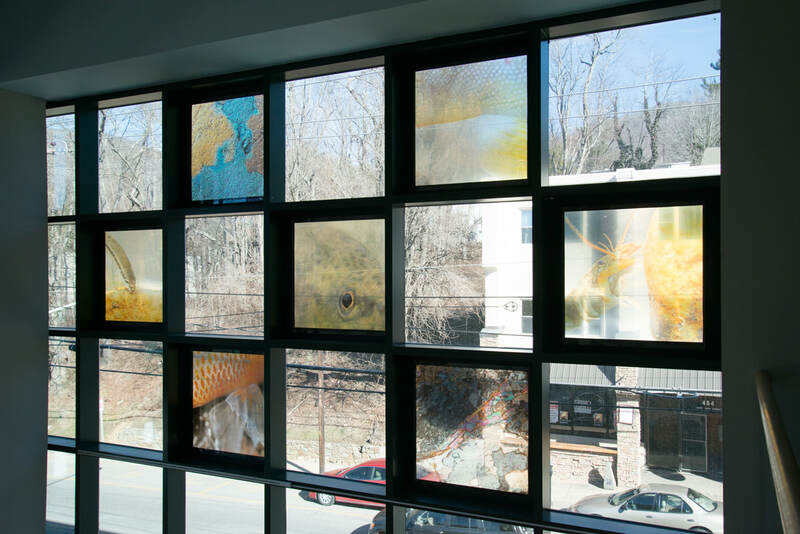 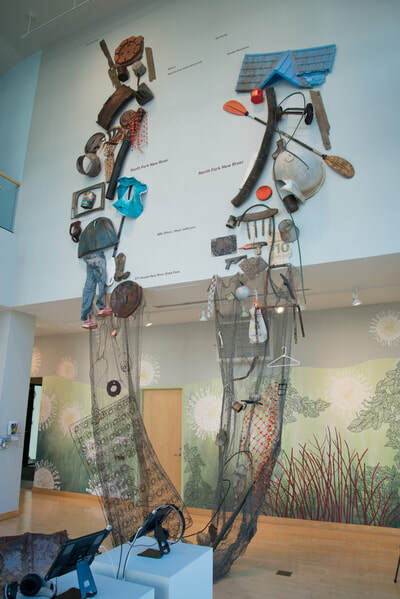 My project partners and I collected hundreds of pounds of trash from the New River to create part of the river on gallery walls, initiating valuable conversations about environmental stewardship, sustainability, and civic engagement in the Appalachian region.